I used the following ingredients: Ham, celery, onion, Dijon mustard, hard-boiled eggs, sweet pickle relish, and mayonnaise. 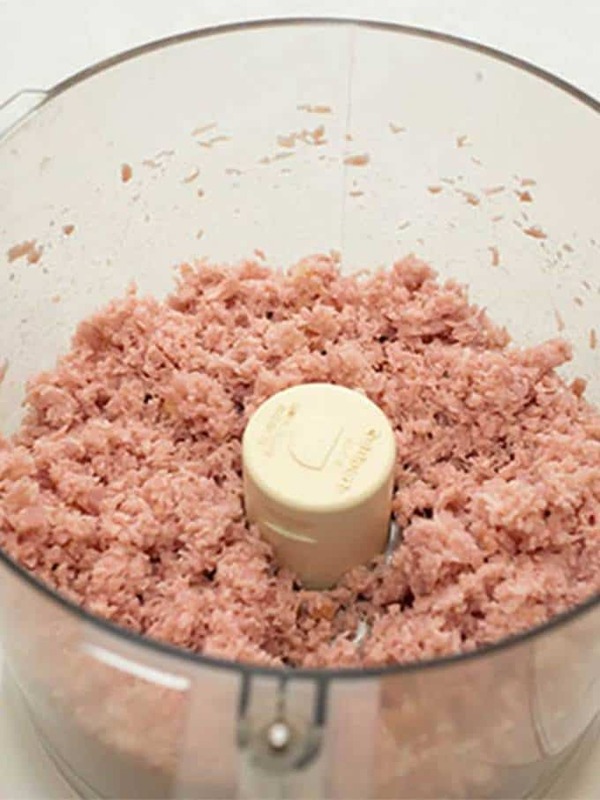 I started by chopping the ham in a food processor. This took 6 or 7 seconds. Then, I added all of the ingredients to a bowl, and mixed them until they were well blended. I served this on crackers. However, I could have also served it toast, bread, or whatever struck my fancy. Yum! Add ham to food processor fitted with steel blade. Process for 6 to 7 seconds until finely chopped. Transfer to mixing bowl. Add remaining ingredients. Stir until well blended. Serve on crackers, toast, bread, etc.